Breast Cancer is the second leading cause of death among women. The good news is that the number of deaths is dropping thanks to better screening and early detection. Many symptoms of breast cancer are invisible and patients won’t know they have the disease without professional screenings like mammograms. Learn more about how breast cancer is diagnosed and what kind of treatments are out there. The 2018 WVIA Congressional Debates will broadcast live from the Sordoni High-Definition Theater at the WVIA Studios on Monday, October 29th & Tuesday, October 30th starting at 7 p.m. on WVIA TV. The debates will also be simulcast live on WVIA FM and streamed live at wvia.org. The moderator will be WVIA's Larry Vojtko. This documentary examines one of the greatest present threats to American democracy: the influence of untraceable corporate money on our elections and elected officials. The film takes viewers to Montana -- a frontline in the fight to preserve fair elections nationwide. There, we follow a local journalist working to expose the real-life impacts of the U.S. Supreme Court's Citizens United decision. Through this gripping story, “Dark Money” uncovers the shocking and vital truth of how American elections are bought and sold. The Recording Academy honors its 2018 Special Merit Awards recipients with this awards ceremony and tribute concert. This year's Lifetime Achievement Award honorees include Neil Diamond, Emmylou Harris, Queen, and Tina Turner. The concert features rare performances by honorees and new renditions by those they've inspired. This 2 part series follows the rise and fall of the gigantic, traveling tented railroad circus. It recounts the era when Circus Day could shut down a town, and circus stars were among the most famous people in the country. For many Americans, the circus embodied the improbable and the impossible, the exotic and the spectacular. Through the intertwined stories of several of the most innovative and influential impresarios of the late 19th century, the series reveals the circus was a uniquely American entertainment created by a rapidly expanding and industrializing nation. Now out of step with current sensibilities. Discover the story of Linda Bishop, a New Hampshire mother who suffered from severe bipolar disorder with psychosis. She imprisoned herself in an abandoned farmhouse and remained there, a prisoner of her own mind, eventually starving to death. Travel to the colorful landscapes of New England, meet a cast of unforgettable wildlife characters, and experience some of the best autumn has to offer, including leaf gazing, pumpkin carving and cranberry harvesting, in this live production. This series is a period drama based on the Victorian gothic novel by Wilkie Collins. When a young drawing master encounters a spectral woman dressed in all white on a dark road on Hampstead Heath, he is drawn into a web of intrigue that will transform his life forever. After offering his assistance to the strange woman, he is shocked to discover that she had just escaped from a nearby insane asylum. Ben Hardy, Jessie Buckley, and Charles Dance star. This four-part series challenges everything we thought we knew about the Americas before and since contact with Europe. It travels through 15,000 years to showcase massive cities, unique systems of science, art, and writing, and 100 million people connected by social networks and spiritual beliefs of the first peoples spanning two continents. 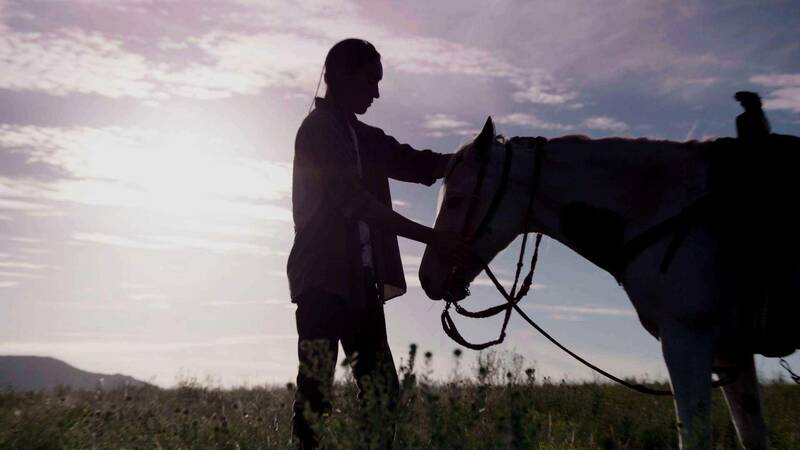 The series reveals some of the most advanced cultures in human history and the Native American people who created it and whose legacy continues, to this day. Everyone loves big cats, but what do we really know about them? There is far more to these charismatic and misunderstood animals than just being the world's top predators. Cats have their tender side -- they are emotional and intelligent while being social and are devoted parents. Filmed over 600 days in 14 countries, featuring 31 species of cats, this series uncovers the secret lives of big cats and introduces behaviors captured on film for the first time, using the latest camera technology and scientific research. From the solitary bachelor snow leopard in the Himalayas, to the elusive swamp tiger of South Asia, to a remarkably efficient Californian bobcat that is blind in one eye, NATURE brings these animal superstars out of the shadows and reveals how cats survive and thrive in all four corners of the globe. Advances in technology allowed for several on-camera firsts, including the nocturnal pursuits of a tiny but deadly black-footed cat in South Africa who hunts more in one night than a leopard does in six months. Remote cameras capture exclusive intimate moments between a mother Pallas' cat and her kittens. Low-light technology exposes a true rarity: a puma preying on Magellanic penguins, one of the few successful hunts ever caught on film.